Arkansas committed to using the ARRA capitalization grant to provide assistance to wastewater and nonpoint source projects which proceeded quickly to construction, creating jobs and furthering the water quality objectives of the Clean Water Act. The State entered into binding commitments for six projects that proceeded to construction or awarded construction contracts by February 17, 2010. 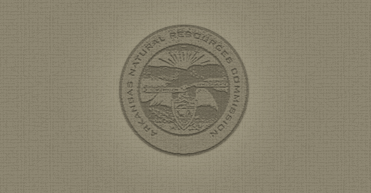 Arkansas received the Clean Water ARRA capitalization grant in the amount of $25,636,500. Arkansas entered into contracts which proceeded to construction or award of construction contracts for all projects before the deadline of February 17, 2010. Our green infrastructure contracts represent 40% (over $10 million) of the total cap grant. Green infrastructure includes such projects as water or energy efficiency improvements, green stormwater infrastructure or other environmentally innovative activities. ANRC used 50.37% (over 12 million) in ARRA funds for additional subsidization. ANRC used principal forgiveness and grants as the additional subsidization. Arkansas used the capitalization grant to provide assistance to water systems for capital improvement projects which proceeded quickly to construction, creating jobs and furthering the public health protection objectives of the Safe Drinking Water Act. The State entered into binding commitments for nine projects that proceeded to construction or awarded construction contracts by February 17, 2010. Arkansas entered into contracts which proceeded to construction or award of construction contracts for all projects before the deadline of February 17, 2010. Our Green Project Reserve contracts represent 20.3% (over $4.9 million) of the total cap grant. Green infrastructure includes such projects as water or energy efficiency improvements, green stormwater infrastructure or other environmentally innovative activities. Arkansas also exceeded the 50% requirement for Additional Subsidization. Our Additional Subsidization contracts represent 50.03% (over $12.2 million) of the total cap grant. ANRC used principal forgiveness and grants as the additional subsidization.